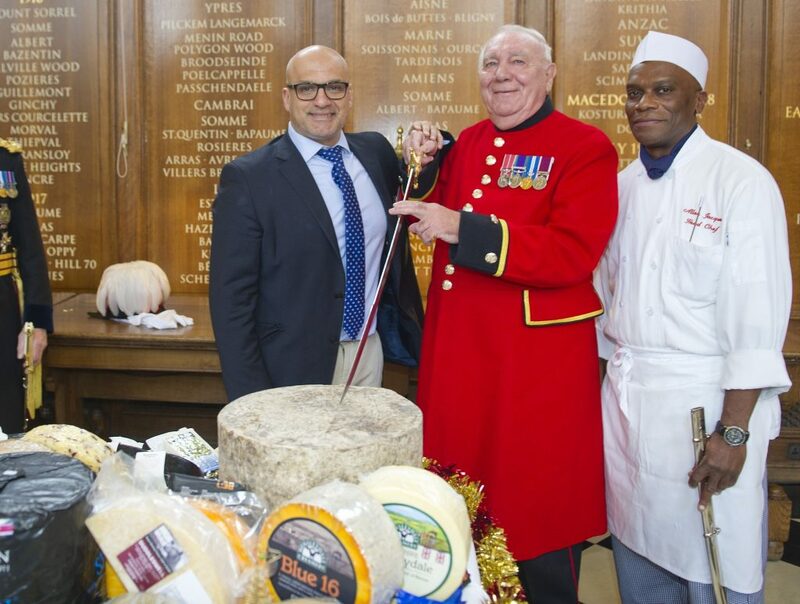 It’s not Christmas without cheese – and this year we played a part in making sure that Chelsea Pensioners don’t go without during the festive season. We donated 8kg of Saint Giles, Duddleswell and Brighton Blue to the annual Ceremony of Christmas Cheeses at the Royal Hospital Chelsea. The ceremony has been part of the Chelsea Pensioners’ traditional Christmas celebrations for more than 300 years. It started soon after the Royal Hospital Chelsea was opened in 1692 when a local cheesemaker agreed to provide cheese for the war veterans in the care of the hospital. 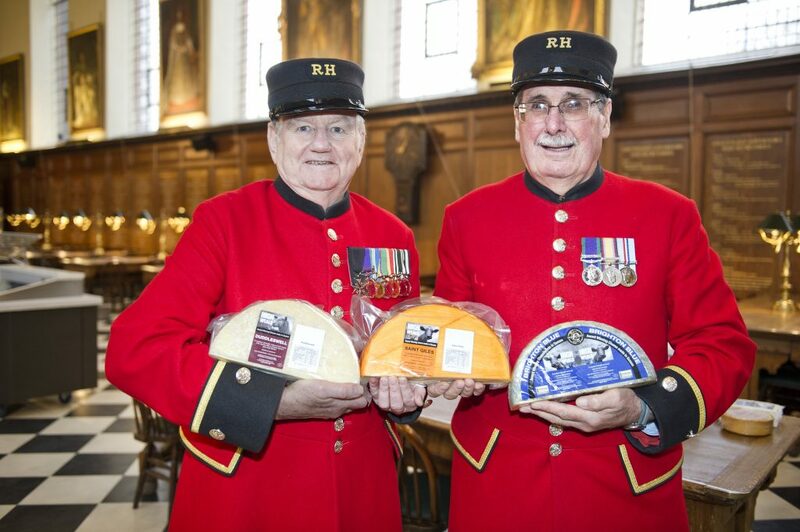 Now there are 300 Chelsea Pensioners, all former soldiers of the British Army, and cheese donations have been organised by The Dairy Council for 50 years. 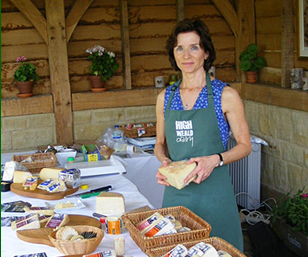 This year we were one of a number of British cheesemakers who donated enough cheese to feed a small army – a total of 514lbs. The ceremonial cheese was a giant 53lbs of Montgomery Cheddar which was cut by 74-year-old Chelsea pensioner Leo Tighe who served in the Irish Guards for 25 years, attaining the rank of Warrant Officer Class 2. During his service, he was deployed to East Africa, Hong Kong, Germany, Belize and the Middle East. Following outstanding service in Jordan, he was awarded the British Empire Medal. He left the Army in 1985 and became a Chelsea Pensioner in January 2016 and along with his colleagues feels deeply privileged to represent the Royal Hospital throughout London and overseas. 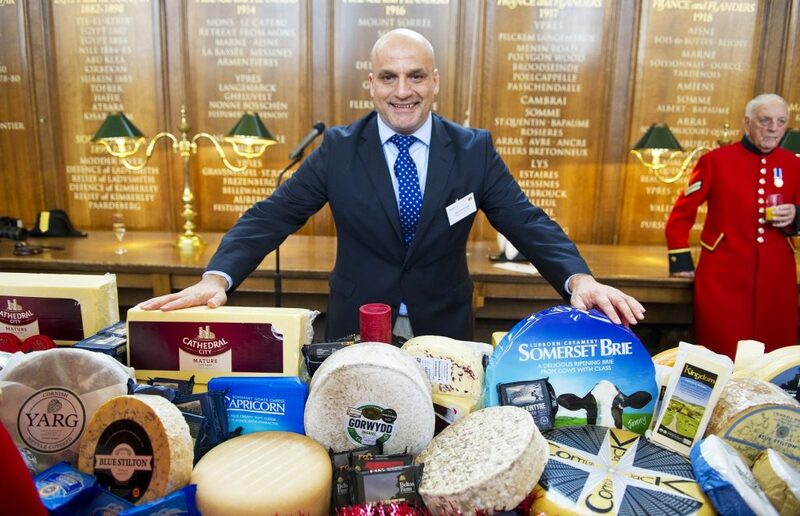 Ash Amirahmadi, chairman of The Dairy Council, said: “Cheesemakers across the UK have a great tradition of paying tribute to the courage and contribution made by our war veterans, and this year they certainly didn’t disappoint.